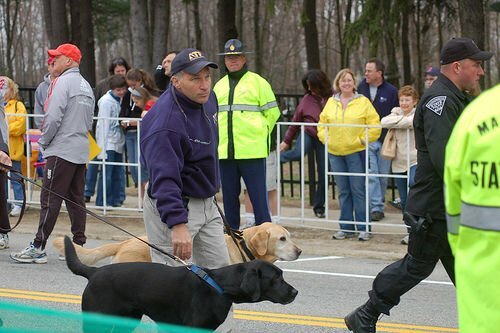 Stevenson had just finished the marathon before the explosions. Stevenson said his wife had been sitting in one of the seating sections where an explosion went off, but thankfully she left her seat and was walking to meet up with him. “We are just so thankful right now,” Stevenson said.